DON’T REMOVE WHAT THE RODENTS ARE EATING TILL THEY’RE GONE! PET OWNERS ARE MORE LIKELY TO GET RATS AND MICE! DON’T CLOSE ACCESS HOLES TILL RODENTS ARE GONE ! RAT AND MOUSE BAIT NOT BEING ACCEPTED? Fall is the time of year when mother nature tells animals that winter is coming. 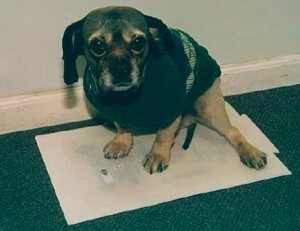 This prompts animals to prepare for colder weather. This preparation includes eating more food, hoarding food and finding appropriate shelter. Animals can become a nuisance when they use our homes and apartments for their nesting. And throughout North America, there are many animals who will move in with us if we give them the chance. Among the more common to do this are rats and mice. Mice are small rodents which can multiply rapidly. They feed on stored products, bathroom accessories and all kinds of seeds including bird and lawn seed. We have a few species in America and all will invade our properties. Once inside, you will find their droppings where they are foraging for food. Their droppings are small, black, oval shaped and about the size of a grain of rice. Large roach droppings look the same so be careful not to confuse the two. Mice love kitchens, pantries, bathrooms, furniture and cabinets. They will nest in dresser drawers, closets and garages. Attics provide adequate nest sites, but mice prefer living close to their food. Attic’s and crawl spaces may have mice living there unnoticed for long periods of time. This can lead to odor problems, damage and mess so any workers or owners entering these areas should be on the lookout for telltale evidence of an infestation. 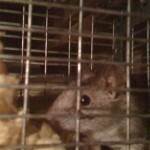 Rats are the other rodent which will move into any structure man builds. We have both Roof Rats and Norway Rats in America. Roof Rats are excellent climbers and prefer to live in attics or cabinets. Commonly referred to as pack rats, wood rats, tree rats or attic rats, these nimble rodents can scale most surfaces and may access your property by climbing up brick, stucco or wood siding. Once on the roof, they will find any small route of entry. This includes vents to bathrooms, gable vents, spaces around soffits, exhaust pipe holes, spaces between facia boards and roofs and just about any vulnerable spot. If none exists, they will chew a hole. Norway Rats prefer to nest in the ground. They dig burrows around railroad ties, gardens, trees, shrubs and against foundations. These burrows will lead into crawl spaces and through cracks around pipes in slabs. Once inside your property, they prefer to nest low in kitchens and bathrooms. Both species have droppings about the size of a black or red bean. The Norway Rat droppings have smooth round ends but the Roof Rat dropping has pointed ends. Generally speaking, these droppings will get larger as the rodent grows bigger. As with mice, rats leave their droppings where they travel. These locations will be where rodent control programs need to be implemented. Controlling rodents is ongoing. Successful programs start before you have a problem. Know your property. Look for problem areas outside your buildings. These areas may include dumpsters, standing water, creeks, streams, neighboring businesses, and drainage systems. The most common attractant around the average home in America include either pet food or bird seed. The smells from these items is so strong it will attract several types of animals to your yard. Once they get a taste of these nutritious foods they will try to feed there daily. If you suspect you have rodent activity around pet food or bird seed, DO NOT REMOVE the food until the animal has been successfully trapped, relocated or destroyed using any of the options which this article will detail. Simply put, rodents are creatures of habit. If you remove their food source thinking they will go away YOU ARE WRONG. All you will do is force them to adapt. This adaptation will generally lead them to where the food is stored, where the food came from or where food similar to it is kept. The bottom line is that removing the outside food source will more than likely cause the rodent to come inside your home seeking more food. If you leave the attractive food supply outside and in tact, you will have the upper hand in dealing with this animal because you will know it’s behavioral patterns which are centered around the pursuit of food. And don’t waste your time hoping your dog or cat will ultimately chase the rodent away. Over 80% of our customers with rodents also have pets. This percentage is significantly higher than homes without pets which leads us to conclude that homes with pets ARE MORE LIKELY TO GET A RODENT PROBLEM compared to homes without pets. You may not get any for a year, five years or even more but at some point, local neighborhood rodents will find your home and offerings due to the smell of nutritious pet food. Pet food is packed with more nutrition now than ever as is bird seed and rodents are able to detect these food supplies like flares in the night sky. Once found, they will not easily give up and go away from any feeding patterns. Use this to your advantage. After the rodents are successfully removed, you can alter the outside food supplies to help reduce future problems but only at such a time that you are certain there is no activity. If you cannot change the environment, (such as having a big walnut or pecan tree) then locate points between the attractant and your structure where you may be able to intercept the rodents before they get into your home. Remember, it is always easier to keep rodents out. Once they get in, controlling them requires more work, more cost and more aggravation. DO NOT CLOSE OR SEAL THE HOLE UNTIL YOU KNOW THERE IS NO ACTIVITY AND THE ACTIVE RODENTS HAVE BEEN REMOVED OR DESTROYED FOLLOWING THE GUIDELINES IN THIS ARTICLE. This is another critical part of rodent control. All too many times people will unknowingly close or seal holes thinking the rodents will simply go away. Nothing could be further from the truth. Again, these are creatures of habit which will stop of nothing short of death to reclaim their home. Think of it like this: If you came home and found all your doors and windows boarded over for no reason would you simply walk away never to return? Of course not. You would do all you could to get inside, claim your personal belongings and find out what is happening. The same is true with rodents. When closed out of their home, they will chew through wood, plastic, metal and cement to get back inside. Remember, they are creatures of habit and knowing their route of entry makes trapping them or using one of our methods listed below all that much easier. To control existing populations, first consider the options. Methods of control include poisons, snap traps, glueboards, electrocution and live traps. 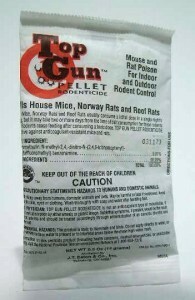 Rodenticide is a poison bait which rodents eat. Most rodenticides are anticoagulants which mean they prevent the clotting of blood. The material works by affecting different components of the animals body. In effect, the rodent looses it’s ability to have it’s blood clot. Once an artery or vein ruptures, the animal dies. This can happen from a cut or when the animal sustains an internal hemorrhage. Either way, it has the potential to lead to a mess. So if you still want to use a bait, be prepared to find rodents randomly. Make sure to keep them away from children and pets. There are risks using any rodenticide and you should be aware of them. NO RODENTICIDE CAUSES THE ANIMAL TO SEEK WATER AN DIE WITHOUT SMELLING! No product has ever had this capability nor has any manufacturer ever claimed their bait had such a feature. Though we may never know for sure where this old wives tale originated from, it appears that pest control companies started telling customers this would happen when rat poisons were first introduced. Customers were not likely to let poison be used if it was commonly known that death would be random; telling people rodents would either seek water outside and die (better yet, their carcasses would dry up!) and not smell when they deceased was for some reason a falsehood that began to spread and over the years, came to be accepted a truth. In reality, its nothing more than an urban legend at best. Regardless of where the claim came from that dying rats and mice would “leave” the home before they died, no doubt countless animals have died in attics, crawl spaces and other hidden spaces of the home. And once dead, their bodies were left to decay causing all kinds of issues. The most common problem is malodor. And we still get inquiries asking how to remove dead body rodent odor from living areas which can persist for weeks. The good news is there are ways to resolve this problem. If you have such an odor problem, use NNZ to remove it. This enzymal compound works two ways. First, it readily “eats” the odor molecule which is a gaseous by product emitted by the decaying organic matter – in this case the body of the rodent. It also attaches itself to other odor causing molecules created in the breakdown of the body and causes them to get heavy and simply fall from the air. This dual action will help eliminate the odor. You will get the best results if you are able to apply the product directly where the animal died. If you do not have access to this area, you can spray NNZ in crawl spaces, attics and into wall voids where you think the animal died. NNZ has no odor so you won’t know it’s been applied which means the bad odor may still be detectable for a short while. 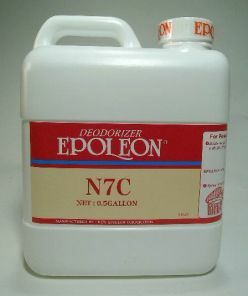 If you prefer the product applied to leave a slight “masking” agent or smell, use the N-7C. This is the same material as the NNZ but N-7C also has a slight fresh fragrance that’s to help let you know you’ve applied it to a certain area and to help cover any offensive odors that were present. This will help minimize the unpleasant smell during the time N-7C is working to remove the odor. Many times odors will develop where rodents have been active for long periods of time. This commonly happens in attics and crawl spaces. 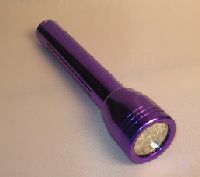 If you are not quite sure where they have been traveling use one of our PORTABLE BLACKLIGHTS. They operate off 4 “AA” batteries and are invaluable at locating exact locations where rodents have been traveling. Simply turn down all the lighting and turn on the Blacklight. Don’t be frightened at how many places you are able to see where urine and feces have been distributed. Along with excrement, there will be other bad things. Rodents carry disease and there are all types of virus and bacteria commonly found where rodents are active. (This is the main reason why we don’t want them in our home). If you have had activity for a short while, there is probably no reason for alarm. However, established infestations and any room or part of the home where odor is detected needs to be cleaned. 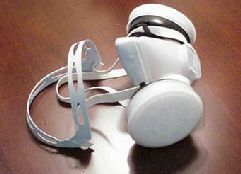 To insure you don’t inhale virus or bacteria during cleanup, wear a DISPOSABLE RESPIRATOR. This will filter out any possible contaminate. To help minimize this risk some more, lightly mist water over the area to be cleaned using a vapor created by a spray bottle or humidifier. The moisture will help keep dust and contaminates from getting airborne. Since bacteria and virus will thrive in rodent droppings, you will need to remove as much of it that you can find. The best product for this cleanup is ROUGH’N READY. It is used by commercial processing plants, hospitals, etc and is very fast acting and complete. It can be diluted though you using it at full strength is generally preferred. It comes in liquid form and can be sprayed or wiped over areas you need to clean. If you have a lot of non-porous surfaces like countertops, ceramic tile or any hard surface where activity has been noted, get the HOSPITAL DISINFECTANT SPRAY. This is a ready to use aerosol which works well at killing any type of bacteria or virus and will quickly sterilize without hurting finishes or making a mess. Once you start the cleanup, be sure to place all rags, towels, droppings and other contaminants in a plastic bag for disposal. Wear rubber gloves during cleanup and be sure to wash your hands, clothing and shoes following the job. Once cleaned, use our ODOR DESTROYER to eliminate foul smells. Though the Rough’n Ready and the Hospital Disinfectant spray has a clean smell which will last for awhile, droppings, feces and other animal fluids have odors which require a special mix of enzymes to eliminate. Thats what Odor Destroyer is designed to do. This product works like Odor Killer but it also eliminates the smells from their urine and feces. Treat attics, insulation, floor boards, crawl spaces, dirt floors, floor joists, rafters and any where activity is noted. The more surfaces that are carrying the odor which are treated will enable the product to work both quicker and better. 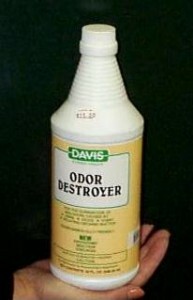 In other words, Odor Destroyer won’t affect areas where it isn’t applied like Odor Killer can. If you insist on using a poison for control, understand that non target animals such as children and pets are also vulnerable to these products. For this reason you must be extra careful when using any rodent bait and the use of protective tamperproof bait stations is strongly recommended to help prevent accidental poisoning. 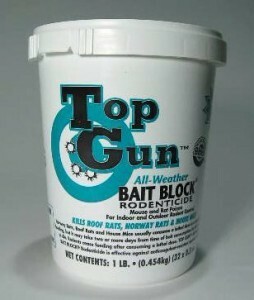 In fact, it’s most likely all rodent bait will one day soon only be sold in protective bait stations. This measure is being done mostly to prevent the misuse currently happening with rodent bait that so many times affect non-targeted animals. With that being said, there are OK locations where the use of bait presents minimal danger or risk to non-target animals. Vacation homes, sheds, abandoned lots and commercial buildings are such places and clearly better suited for these products. In general, placements made away from people and pets are OK and when done properly, the use of rodent bait can be an effective tool for rodent control. The original type of bait blocks have been all but phased out by manufacturers. This is because they take a long time to kill targeted animals and even after a lethal dose has been consumed, targeted rodents will continue to feed which leads to a lot of bait being used. To help curb consumption of bait during rodent control programs, newer formulations have a more acute response time and most all are now what we call “single feeds”. And one of the best products on the market now uses Bromethalin as it’s active. BROMETHALIN BLOCKS are bait blocks which are ready to be set out and placed in burrows or hard to reach places. They can also be used in bait stations. These blocks are weather resistant and designed to be used in moist areas like crawl spaces and water retention ditches. They will work for either mice or rats. 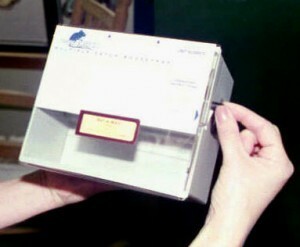 This same active is available as a BROMETHALIN PELLET PLACE PACK. This package is more suited for inside applications. The semi-porous package enables odor to release so rodents will find them. Use them when either rats or mice are the suspected rodent. If you choose to set out bait blocks or place packs, there are some guidelines on proper use to insure your offering will be accepted. In other words, don’t expect local rodents to come to your offering as if it was some kind of magical food. Remember, if you have a problem, its because there is already a good food supply somewhere close and if rodents have a good food supply already, they’re not likely to give up eating it and move onto something like a bait block. So if you find your bait block or pellet isn’t being consumed, the most likely reason for it to be ignored is that the local rodents have a ready supply of food. It could be pet food, bird seed or some kind of grain or nut. Remember, these animals are very much creatures of habit and if they have been feeding on a particular food that’s in the range of the bait block or pellet and this food is readily available after you make some bait placements, they won’t give up eating what they’ve been consuming just because you set something else out. Because of this issue, its imperative that you somehow minimize any alternate food by removing as much of it as possible. This will cause the rodents to seek a new food supply and in the process, find your bait. The second most likely culprit that can interfere with bait acceptance is some kind of malodor. Human scent can be a problem as can cigarette smoke or some other malodor. For this reason it’s important that you first make sure you’re making your bait placements in clean bait stations. Its also suggested that bait placements be made while using surgical gloves. This will help insure you don’t cross contaminate the offering. Something else to consider is that one type of bait will many times be accepted and another ignored. This is why its always best to set out at least 2 forms of any bait; 3 forms is best. This way as the local rodents change their dietary need, they’ll change the food they’re targeting. So by offering different “flavors”, the odds of getting one of your offerings accepted will increase. Now if removing alternate food sources is not an option, you should then use them. So for example, if you have an abundance of acorns or pecans around the structure you want to protect and you know these nuts are being consumed, use them to your advantage. Add some of these nuts “shelled” out in ready form alongside the bait blocks or pellets. Mix in a tiny dab of peanut butter or better yet, our Pecan Surprise to the offering. In fact, “shaving” a bait block into tiny shreds and mixing it with some bird seed, pecans, peanuts and PECAN SURPRISE can’t be ignored by any foraging rat or mouse. In the end, its important to understand that just because you set out a bait block or place pack, this act alone will not guarantee acceptance by local rodents. There are many variables that can cause them to either ignore or accept your placement so be sure to consider them all when incorporating any rodenticide. 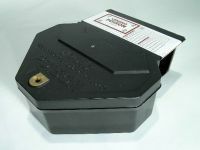 One of the more common bait options available these days are the pre baited tamper resistant rodent stations. Basically these are bait stations that come with bait inside so all you have to do is install the station and you’re done. 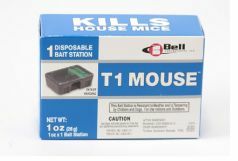 These come in a small size for mice: PREBAITED MOUSE BAIT STATIONS and a larger size for rats: PREBAITED RAT BAIT STATIONS. Now if you decide to go with the loose bait blocks or place packs, you’ll need to make your placements with one of the following bait stations. We have these in both RAT TAMPERPROOF and MOUSE TAMPERPROOF sizes. 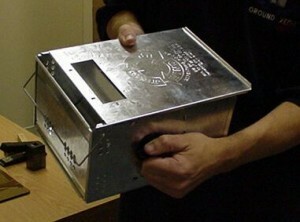 The rat stations can be further secured from uninvited guests by using BAIT STATION STAKES to secure them to the ground. These stakes have a simple way to connect them to the station and will prevent animals and people from gaining access inside without the key. They will also help prevent the stations from being stolen. 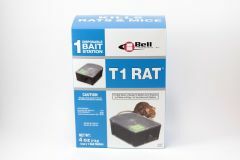 Also available are less costly RAT BAIT STATIONS and MOUSE BAIT STATIONS. These are NOT tamperproof so be careful of where they’re deployed so that non target animals do not gain access. For unique bait station sites like on top of a fence pole or a round tree limb, get a TOP LOADING STATION . 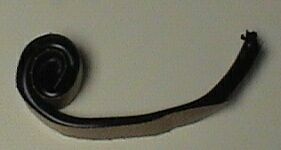 It’s long pipe like design enable it to be mounted via screws, nails or even long CABLE TIES to anything round. Since rodents will many times find their way into structures via tree limbs, placing some stations on these pathways can prove to be very effective at getting them to find your bait placements quicker leading to faster results. Another poison that can be used is LIQUID BAIT. Though not too effective for mice (since they are able to derive their water requirements from the food they eat), liquid bait works well for rats which are a problem in dry areas. 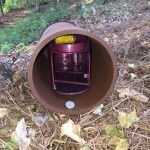 Set the liquid out in LIQUID BAIT STATIONS where rodents are active. Like other poisons, be sure to have such placements away from children and pets. 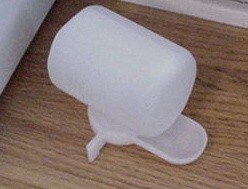 If you have tamperproof stations installed, liquid bait can be used in small cups located in the bait station. Otherwise, the Liquid Bait Stations should be placed up high, behind appliances, in cupboards, in attics or crawl spaces or generally out of the way where only the target rodent is likely to find it. This will help minimize accidental consumption by non-target animals. Snap traps may offer some help, but have inherent problems too. Don’t waste your time with the original METAL TRIGGER MOUSE or METAL TRIGGER RAT designs. Instead, get either MOUSE TRAP EXPANDED TRIGGER or RAT TRAP EXPANDED TRIGGER models. Both mice and rats will easily clean the bait off the old metal trigger traps but it’s not so easy with the newer “expanded trigger” design. Another advantage with the expanded trigger traps is that you can use them without any bait. Just place them alongside the wall where the rodent is foraging. Be sure to locate the trigger closest to the wall. The trigger is large and the rodent will step on it. Such traps will catch one or two for initial cleanouts and preventive maintenance programs, but don’t rely on them if you suspect more than one animal. Kill trap design has some new traps on the market that are much safer to handle and reduce the risk of accidentally snapping your finger. Two of these trap designs are the SNAP-E SNAP TRAP and the T-REX SNAP TRAP. Although baiting is not necessary when using these traps, you should definitely add some TRAPPERS CHOICE PECAN for mice or TRAPPERS CHOICE LOGANBERRY for rats. These strong smelling attractants will guarantee that the trap will be found by foraging rodents. And you might consider making the trap placements secure and safe from children and pets. The use of RAT TRAP STATIONS are can serve this purpose. They hold two traps, have small entrance holes on either side, and can be used in messy areas where traps have a tendency to get dirty or disturbed. These Stations are both heavy and protective so they will shelter the traps from debris so you don’t have accidental triggering and they will keep unwanted targets away and safe. Use them in garages, basements, warehouses and even outside. The Stations are so strong, you can set a Cinder Block of cement on top to anchor it which insures most non-target animals won’t be able to get inside. Glueboards are another device which may have seen better days. These “traps” rely on the use of non-drying glue to catch and hold unsuspecting rodents. 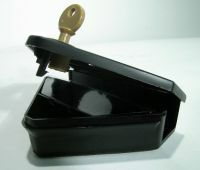 The traps vary in size and are placed alongside walls, around cabinets, under furniture or refrigerators. In general, place where rodent activity is known to exist. When the animal steps onto the glue they get stuck and cannot pull free. Be aware that trapped rodents can sometimes pull a leg, tail or section of their body apart in an effort to escape. This can cause a mess so be careful to use these devices where young children are not likely to stumble upon such a mess. To help prevent target rodents from escaping the glue, use LARGE RAT GLUE BOARDS. These will keep captured animals under control but are only needed for rats. When it comes to mice, the regular sized MOUSE GLUE BOARDS will be adequate. Use a lot to insure a quick catch and prevent glueboard shyness. For damp or wet placements, install PLASTIC TRAY GLUE TRAPS. The problem with paper the design will quickly fall apart; the plastic tray glueboard will work for both mice and rat and will last well in wet conditions. These are better suited for wet basements, crawl spaces, storage sheds, restaurant coolers, etc. 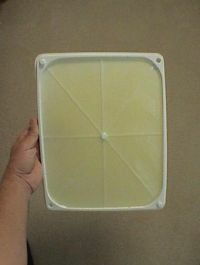 And for those “cat sized rats”, get EXTRA LARGE PLASTIC TRAY GLUE TRAPS. These are made with trays and measure a whopping 10″ x 12″. They hold up well in wet environments and are sure to secure the biggest rat. You may even consider making your own traps by getting BULK GLUE. This is a very sticky glue which is used to create traps on any type of flat solid board, plastic, etc. Once last tool is known as HERCULES PUTTY. Small amounts placed on the bottom of any glue or snap trap can help keep the placement secure and anchored. It can even be used with bait stations. Electrocution is another method which may help in your rodent control management program. This method of control uses electricity to shock the mouse or rat to death. You will need to know where the animals are feeding or active. This will be where you are finding droppings, pathways or nest sights. Install RODENT ZAPPERS where such locations exist. For Mice, the MOUSE ZAPPER is a bit smaller but just as effective. Zappers are easy to deploy, work off inexpensive batteries and are able to deliver a powerful shot of electricity which will prove fatal to any rodent. Bait them with whatever it is around in your home they want. This is usually pet food, grass seed or bird seed. 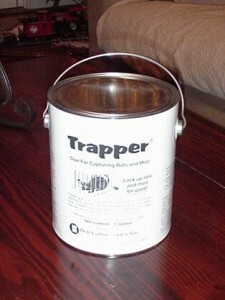 You should also add some of our Trappers Choice paste as well for added attraction. Try to use the Loganberry for rat and our Pecan for mice. However, if you are not sure which animal you have, get the Pecan – it works for both. 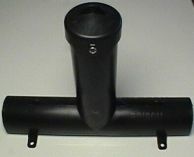 If you plan on using the Zapper outside, the TRAP TUBE will help keep the device protected from the elements. Another option for the Zapper is the RAT TAIL. It helps monitor the device from over 10 feet away so you don’t have to disturb sensitive sets. When mice or rats enter to feed, they will ground out the circuit causing a fatal amount of electricity to pass through them. This will lead to a painless death. Be sure to remove dead rodents as quickly as possible. This is important to insure others won’t become shy of the device. Be sure to place them away from where children or pets would have access as well. Though not deadly, the shock would be quite painful and prove to be a bad experience to any person or pet. The last option (and best) is to use any of the live catch traps available. 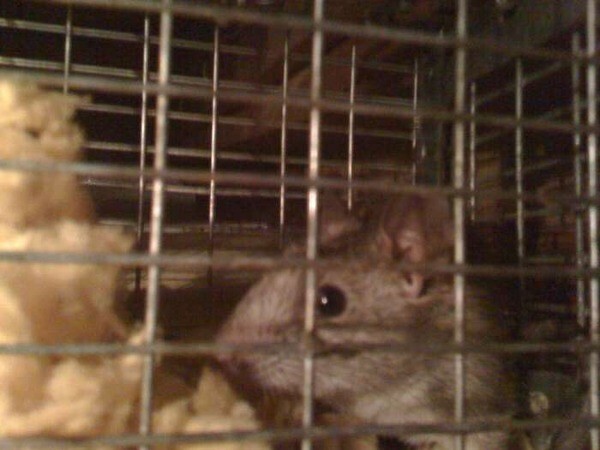 Many people believe catching rats or mice in live traps isn’t possible. But it’s easy once you know where they are active. Check out this short video clip showing a live trapped roof rat I was able to catch on my back deck. Live trapping rodents is not impossible. In fact, because these devices do not kill or harm the animal, most can be caught over and over. The latest design of traps will last a long time, catch many rodents and be able to catch even the most experienced and wary rodent. There are many models available for both rats and mice. For mice, REPEATER MOUSE TRAPS and WIND UP MOUSE TRAPS. The author has used both models many times and has been able to catch over 20 mice in either design in one setting. 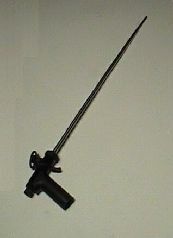 The KWIK KATCH is smaller mouse wind up unit and will not hold as many but is still effective. It’s excellent for wet environments. One of the newer, more unique designs is the LIVE MOUSE TRAP MULTI CATCH. It can be set out to conform to all kinds of environments and because it’s plastic, it does fine in wet environments. It’s the only trap that can “bend” around corners effectively. Use the Kwik Katch or Multi Catch where you have moisture since the plastic design is more resistant to breakdown. If moisture or shape is not an issue, go with both Windup Models and the flat Repeater Mouse Traps. The general rule to follow if trying to decide which trap to get is to use a Wind Up Model if you have room to fit it. This trap sets the highest off the ground and is about the size of two cigar boxes set on top of one another. Lastly, use the Kwik Katch where you know you have a moisture problem. It is built from plastic and lasts well in humid, wet environments. Be sure to place a strong attractant like TRAPPERS CHOICE PECAN in the holding area of your trap no matter which model you get. It’s also a good idea to add anything you think they might be eating. This includes pet food or bird seed. The Trappers Choice will lure them close and when they see and smell some of the food they are used to eating, you will quickly catch them. 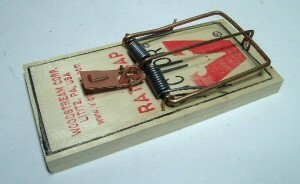 The great thing about these traps is that they don’t kill the animals so other rodents do not become wary or afraid. 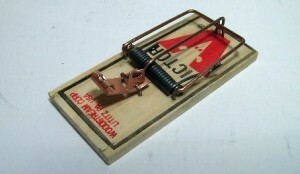 In fact, I have observed a trap with several mice in it seemingly lure new ones to it. The untrapped mouse would come and circle the holding area interested with the activity going on inside. The smell of food is so powerful that even after being trapped the mice do not become upset or frightened. That being said, if they are left there for any length of time and the food supply runs out, they will become frantic and distressed. Be sure to place plenty of bait inside to insure they will be comfortable and quiet once trapped. If you are inspecting the device every day or two, this will not be a problem. If you are using this device in a vacation home or some part of the house where it is difficult to inspect it daily, you may have some of them dying before you are able to empty it. If the animals are left to die, they will certainly smell and decay. Try to stop this from happening. Although other mice will avoid traps with dead animals, once they are removed and fresh bait is installed, you will be able to catch more. To prevent any type of trap shyness from happening, however, try to prevent any from dying because you left them in the trap unattended too long. 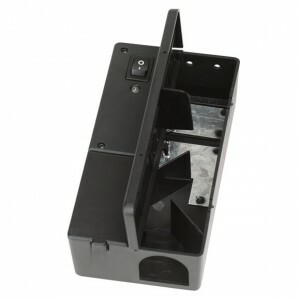 Now if you are unsure whether the active rodents are mice or young rats, get our single catch live trap. This would be considered a universal design and is versatile to catch both species well. It is very small and generally designed for mice but it will work for small rat as well. Known as the LT3310, it has vented sides and a rear opening door which makes it easy to bait and to release trapped animals. This trap is perfect for catching family pets which get out in the home since it is the safest live trap of all with no risk of injury to targeted animals. It will only catch one at a time but it has many other benefits which make this the trap of choice for many applications. If you are trying to live catch rats, you will need to use a bigger trap. In the trapping industry, we have several models that can do the job depending on your situation. 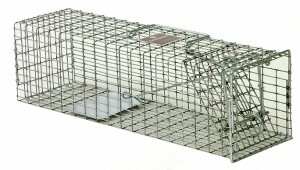 If you have 10 or less animals to catch, the 5X5X16 GREEN LIVE TRAP will probably do the job. It’s OK for small jobs and strong enough to hold any rat but don’t expect it to last forever. It can be used inside or outside. It’s hard to notice this trap when placed out in green grass, shrubs or other plant life in the yard making it ideal for stealthy trap placement where you may have over curious adults or children. 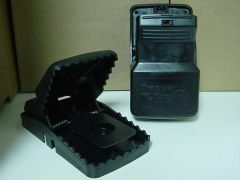 But if you want the best built, longer lasting commercial trap, go with either the LT5518 or the LT5518RD. Both these models will last for many years and can be used inside or outside. The LT5518RD features a rear sliding door making both baiting the trap and releasing trapped animals easy. It’s best suited if you plan on catching 5 or more rats. For known heavy or large populations, the use of repeating traps might make sense. The 3.5 x 3.5 x 24 REPEATER and the 5x5x30 REPEATER RD are true mulitiple catch live traps. Both feature two one way doors. When rodents enter the first door, they are caught in a holding area from which they cannot escape. Their only option is to pass through another door which leads to yet another holding area. This rear holding area is where most trapped rat will end up due to their natural curiousity. The 5x5x30 has a sliding rear door making both baiting and animal release easier and worth the extra cost. All of these models for rats feature 1/2″ by 1″ wire which is mandatory when live trapping rat. The more commonly used 1″ by 1″ wire found on many live traps simply isn’t tight enough to hold most rat. 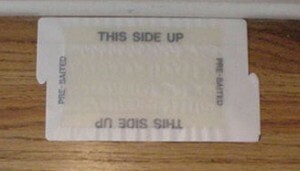 They can easily pass through the 1″ square hole so don’t use it. One last thing you’ll need for any of these traps is a good lure. 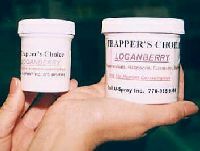 For Rats, just add TRAPPERS CHOICE LOGANBERRY to make it irresistible. Placement of the trap should be where most activity is noted. If the animal is in the attic, try to place the trap where their droppings are accumulating. If you are finding droppings around a garbage bin or storage area in the garage or basement where you store bird seed or pet food, place your trap there. Another great trap set is under bird feeders. Since rodents will readily feed on over spill, a trap set at such locations will be productive. One other place to set these traps is along pathways into your home. If you have found routes of entry you can use them as prime locations to make trap sets. 1) Try to set the trap as close to whatever it is they are attracted to or what it is they are actively eating. 2) If you do not know what their food supply may be, use one of our attractive lures coupled with some pet food or bird seed and you will readily trap them. Place the trap where you suspect activity as evidenced by where you have found droppings, chewed entry holes or where you hear nighttime activity. Once caught, relocate the animal either 5 miles away or destroy it. We are constantly asked what to do with trapped rodents and really, the answer is up to you. If preferred, you can release them out in the wild. Just make sure you take them at least 10 miles away to insure they don’t return to your property. Alternatively you can kill them by using one of the following methods. Drowning. This is done by placing the animal in a bucket of water while still in the trap. You can also use a stream or pond if one is close by. It usually only takes 15 minutes and any rat or mouse will be dead. Freezing. Placing the trap in a bag and then in a freezer will cause it to go to sleep and then to die. This is painless but does take awhile. Plan on keeping the animal in the freezer overnight. Suffocating. Though this sounds humane, it can get difficult to do since it is hard to devise a way that removes all air available. Rodents will prove to be persistent so expect them to hang on quite awhile. Electrocution. The Zappers detailed above have proven to provide a very humane way to destroy unwanted rats or mice. The easiest method is to get the LT5518RD and a Zapper. You are then able to use both for your rodent management at the same time. Rodents caught with the Zapper are killed upon capture; rodents caught in the trap can be destroyed by setting the Zapper at the back of the LT5518RD. Make sure the Zapper is turned on and that you have the two devices tightly pushing up against one another and then lift the rear door of the LT5518RD trap. The rodent will readily run to the “comfort” of the Zapper because it perceives the solid tunnel to be a safe haven as opposed to the openness of the wire cage. Once in the Zapper it will painlessly be killed. To stop new rodents from entering structures, you have some treatment options. The first is try and seal any holes which they can use to get in. This might seem easy to do, but in fact is almost a never ending job. Every house the author has inspected and done closure on had so many entrance ways that it would cost over a thousand dollars to seal tightly with a warranty. Since rodents are good climbers, you must look high as well as low. Once you find access points, seal the holes. And though you might want to use wood, metal will no doubt work best. And don’t use regular steel wool for this job since it will quickly rust out. Get some COPPER WOOL. This product cannot be chewed through and will not rust. It is both easy to cut and easy to stick into access holes. Be sure to get every point you see and even those you don’t think any rodent could use to enter. Next follow up with PUR BLACK sealant. This unique expanding material is durable, strong and will pretty much permanently seal any gaps through which nuisance animals can enter. 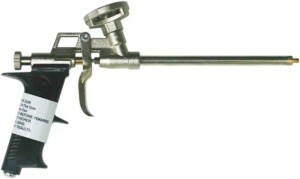 For large jobs where you will be needing to apply several cans, consider getting the PUR SHOOTER GUN. This tool is similar to a caulking gun but a lot better. There are several reasons. First, it has a tip shut off. In other words, the Foam you pump through it comes out a thin tip which is part of the gun. This tip has an internal cut off which will both make for clean starts and finishes when applying the foam. Second, it preserves the foam inside the tube so it won’t dry or harden even though you have released it from the refill can. If you have hard to reach cracks and crevices, the PUR 24″ GUN may suit your needs better. Either gun will require the PUR BLACK CANNISTER sized can. It’s designed to fit these guns and will prove more economical and efficient to use for large jobs. The following video demonstrates how a standard foam application can be done. For extra “repelling” protection, the PUR FOAM W/REPELLENT may be your best bet – especially when dealing with stubborn rodents that just won’t quick trying to get inside the target structure. This Foam has a repellent animals don’t like already mixed in and may provide that extra bit of protection you’ll need to keep them out. Lastly, you’ll need some GUN CLEANER to keep either Gun Applicator clean when storing it for any length of time. Watch this video to see how to install the Copper Wool and then add some Foam Sealent. One last point; be sure to inspect high up on the structure. Look along gutters, around vents, windows, decks, chimneys and any other place where different elevations meet. Make sure to cut back tree branches and shrubs from the home and remember that rodents can jump surprising big gaps. It is not unusual for them to jump over 5 feet to get onto a home they know will provide either good food or shelter. They can scale most deck poles, trellis’s, brick, cedar siding and stucco. They will enter through attic gable vents and by using down spouts they will climb up to a roof and squeeze through the gap between the rain gutter and the facia boards. Be sure to use our Copper Wool in all these areas. Another type of repellent to try is the use of ultrasonics. These devices have been out for several years and most make claims beyond their capabilities. 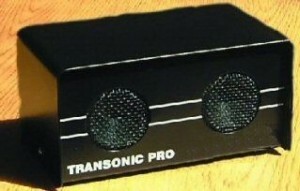 The TRANSONIC uses a sound wave that rats and mice don’t like. There is no doubt rodents cannot tolerate the sound emitted from these devices. But don’t rely on them to purge existing populations from your home. When ultra sound is used for existing infestations, the rodents simply relocate to sections of the home or building where the sound is not reaching. Since there is an unlimited amount of such areas, they will inevitably find a new nesting void away from the sounds annoying range. Therefore, you still must trap out the ones currently living there. Now once no activity is noted for a period of two weeks, you can definitely install our ultrasonic units and they will definitely keep new infestations from happening. Just remember that since ultrasound cannot penetrate solid objects, you will lose any protection in areas which are not wide open. This means foundation walls, storage and basic insulation can all serve to prevent ultrasound from getting maximum coverage. Wide open attics and crawl spaces will provide the best results; cluttered areas will require extra units to insure no “dead spots” exist in which rodents will readily move. Most homes will get great protection by installing these where the activity was most noted. And no doubt having units inside pointing at the routes of entry can also be an effective strategy. Another repellent option that can help keep rats and mice from foraging around the home is a combination of PEST RID GRANULES and PEST RID SPRAY. The granules should be applied first, around the foundation and where you suspect they might be entering. After the granules are set out, spray over the area with the Pest Rid Spray. These materials will last a month or two and rodents will avoid where they’ve been applied. For inside the home, set out some EVAC RODENT REPELLENT in the attic, crawl space or other areas where the problem was active. Evac is packed in handy little place packs and will last a month or two at protecting the treated area. Rodents have been on the earth longer than mankind. In fact, the more we thrive, the more they prosper. We cannot hope to rid the world of these creatures; like most, they, too, have a place in nature. However, we can do many things around the home to help minimize their intrusions. Once inside, we have several options to first remove and then keep new ones from entering. Which ever method you choose to employ, remember that we as a species are much more advanced and intelligent than any rat. If you learn to observe and use a method of control which works with the rodent’s current pattern of behavior you will get great results. Combining two or three of the options listed above along with the use of repellents should not only solve your problem but keep new ones away. In the end, you will be able to reclaim your home rodent free. I am a little confused over two products and need a little assistance. I had a rat…not mouse…come in under the dishwasher in a rental home and the landlord will not assist. I put out some bait that makes them bleed internally and also put out a trap under the house. Either one rat died under the dishwasher and I trapped the other or the same rat just pooped and urinated under the dishwasher and then I trapped it. But I cant find any dead rat under the dishwasher although I am unsure since it can’t be pulled out so I am unsure. And all of a sudden the weather turned 85 and the smell inside the house is unbearable. We have put several products under the dishwasher that include a pet odor powder, lime and Lysol, nothing helps. My house basically smells like a dead rat, I can’t eat inside the home. The NNZ vs the Oder Destroyer…which one would work better. Please help I am miserable! Sorry for the confusion. Sometimes I wish we only sold the one product but both work great and really, there are times when you don’t need the NNZ. But based on your message, you definitely do. Here’s why. The Odor Destroyer is really best suited for general rodent odor. Droppings, urine, scent trails – these odors Odor Destroyer can handle no problem. 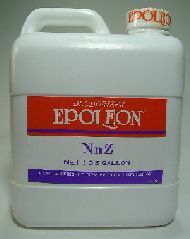 But when it comes to dead body odor, NNZ is King. So if you even suspect it could be a dead body odor that’s causing the smell, the NNZ is the way to go because it’s the only product needed. I state this because it will easily handle everything else too so this way if you use the NNZ, you’ll get rid of all the odors no matter what the odor came from. Remember too that spraying where the odor is centered is important to get the fastest results. So if it’s under the dishwasher, that’s the place to start. But don’t limit you’re treatment to this site only. Does the home have a crawl space under the dishwasher and if yes, do you have access? If so, you probably need to treat in there as well. And what about the neighboring walls? Don’t forget to inspect them to see if the body might be inside a wall cavity. The easy way to tell is to remove light switch covers and electric outlet covers. Once removed, take a good whiff of the air inside the wall space. If the animal died in there, you’ll know. Thanks for your info for catching rats. I’ve learned at least one thing I’ve been doing wrong! I would like to know the price on your live traps. And don’t forget the Pecan Paste! You mentioned repellent granules above (“… once no activity is noted for a period of two weeks, you can install our ultrasonic units and use some repellent granules to keep new ones out”) but I did not see them in your article. Can you explain the type of repellent granules that you are referring to? Will moth balls work? Sorry for the confusion; those products definitely weren’t listed so we’ve just now updated the article. 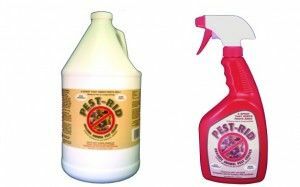 Basically there are three types of repellent products that can be used after you remove the active population in and around the home. For outside, you can apply PestRid Granules and then spray with PestRid Spray. For inside the home, the Evac Repellent Pouches are the way to go. I’ve been catching rats with the zapper and putting them in the garbage. It’s summer and in the Texas heat,things stink up very quickly! Is there something I can put on the rats before throwing them in the trash to lessen the stench? I thought about putting them in the freezer until garbage day but the idea freaks me out. Thanx for any help! No doubt rodent bodies will begin to smell within a day of dying. And since the odor is a direct reflection of the decomposition process, it will just get worse and worse unless you keep the body in something that will both consume and contain the odor as decomposition runs its course. Fortunately there is an easy fix. If you review the article above, you’ll see we have the dead body odor eliminator called NNZ. This product works like a charm. And though its generally used for treating spaces where animals have died (like wall spaces, attics, etc. ), it can be be used for odor containment too. So for your situation, the preferred way to use the NNZ is to get a one gallon sized ziplock bag (any plastic water proof bag will suffice) and fill it half way with water (approximately 1/2 gallon). Next, add 2 oz of NNZ to the water. Next, drop the dead rodent in the bag, seal the bag and dispose of it in your garbage. As long as the bag doesn’t break, the odor will be absorbed by the NNZ and contained for 2-3 weeks. This should be more than enough time as long as you get your garbage picked up at least once a week.